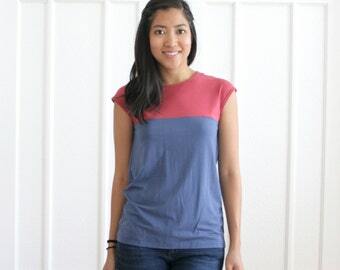 This bamboo, organic cotton, spandex top is a chic way to stay casual. 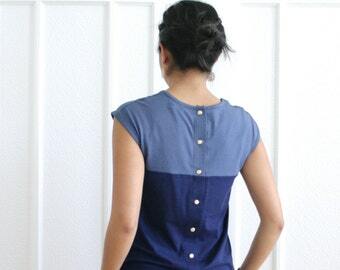 It features a button up back and a colorblock pattern. 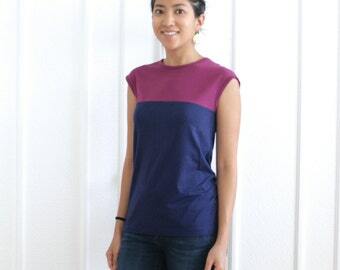 The fabric is breathable, comfortable and ecofriendly! Pair with jeans, or wear it with our Ashton skirt for a tshirt dress combo.